Chester Bennington, the American singer and songwriter, best known as the frontman for the rock band Linkin Park has passed away at the age of 41 according to multiple reports. Bennington joined Linkin Park in 1999 as the new lead vocalist and helped the band release their debut album “Hybrid Theory” in 2000. The album was a major success selling more than 4.8 million copies in its debut year and being named the best album of 2001. It also was nominated for 3 Grammy Awards and won for Best Hardrock Performance. Following the release of Hybrid Theory, Bennington and Linkin Park would go on to release six more studio albums. Each of which achieved commercial and critical success and led to the band being featured at number 19 on Billboards “Best Artists of the Decade” list. To date, Linkin Park has sold over 70 million albums worldwide, won 2 Grammy Awards, and was the first rock band to achieve more than 1 billion views on YouTube. In 2005, Bennington formed Dead by Sunrise as a side project while writing songs for Linkin Park’s Minutes to Midnight (2007) album. 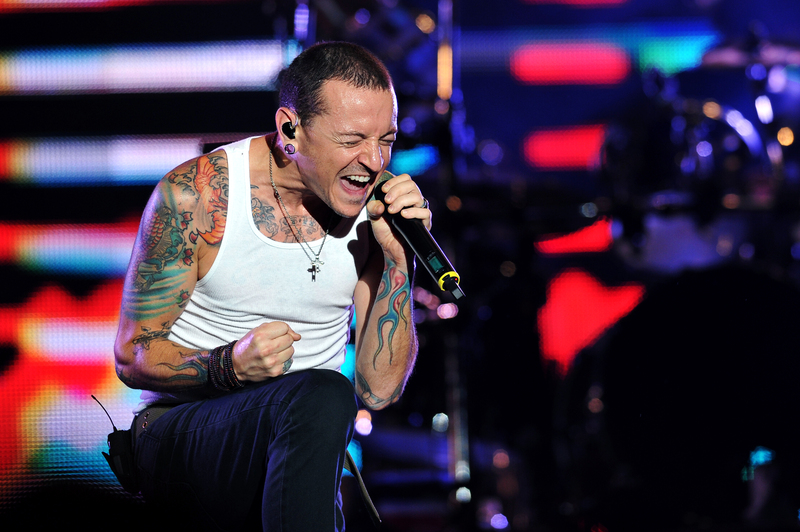 Bennington has said the motivation for the new band came while writing songs he knew would be great songs, but not successful for Linkin Park. Dead by Sunrise released one studio album and toured sporadically alongside Linkin Park, often performing at some point in the middle of the show. In 2013 when Stone Temple Pilots lead singer Scott Weiland passed away, Bennington was brought on as his replacement. Bennington performed with the band for two years between 2013 and 2015 before leaving on good terms to rejoin Linkin Park. During his time with Stone Temple Pilots, they released one song, “Out of Time” in 2013. Bennington was married twice during his lifetime and leaves behind his current wife Talinda Ann Bentley and a total of 6 children from different relationships. Bennington had long suffered from depression and was extremely saddened early this year following the death of close friend Chris Cornell. His death comes on what would have been Cornell’s 53rd birthday today. This entry was posted in Celebrity Deaths on July 20th, 2017 by ObitTree .